Included within recent remarks offered to investors at the MoffettNathanson Media and Communications Summit in New York, Comcast Executive VP David Cohen mentioned that Comcast will transition to a usage-based billing model for all subscribers within the next five years. Assuming that the current data cap of 300GB will continue to increase over the next five years, the new data cap could be around 500GB by the time we approach 2020. At this time, Comcast current uses 300GB monthly data caps in seven states that include Alabama, Georgia, Kentucky, Maine, Mississippi, Tennessee and South Carolina. Offering an additional comment, Cohen continued “I would also predict that the vast majority of our customers would never be caught in the buying the additional buckets of usage, that we will always want to say the basic level of usage at a sufficiently high level that the vast majority of our customers are not implicated by the usage-based billing plan. And that number may be 350 — that may be 350 gig a month today, it might be 500 gig a month in five years, but it will never — I don’t think we will want to be in a model where it is fully variablized and 80% of our customers are implicated by usage-based billing and are all buying different packets of usage. Comcast raised monthly data caps in those states from 250GB a month to the current 300GB a month in 2012. When users go beyond the 300GB cap, additional data costs approximately $10 for an additional 50GB. Interestingly, this data cap model seems to be impact cord cutters the most, specifically due to the hefty data demands for 1080p streaming video on services like Netflix. According to a recent report from Sandvine, the average cord cutter in North America uses approximately 212GB of data per month. That’s more than seven times the usage of a non-cord cutter. Even more telling, the top five percent of online video watchers hit an average of 328GB per month, just slightly more than the current Comcast cap in some states. This figure is only going to rise over the next five years as more consumers purchase new televisions and start streaming 4K content into their living room. 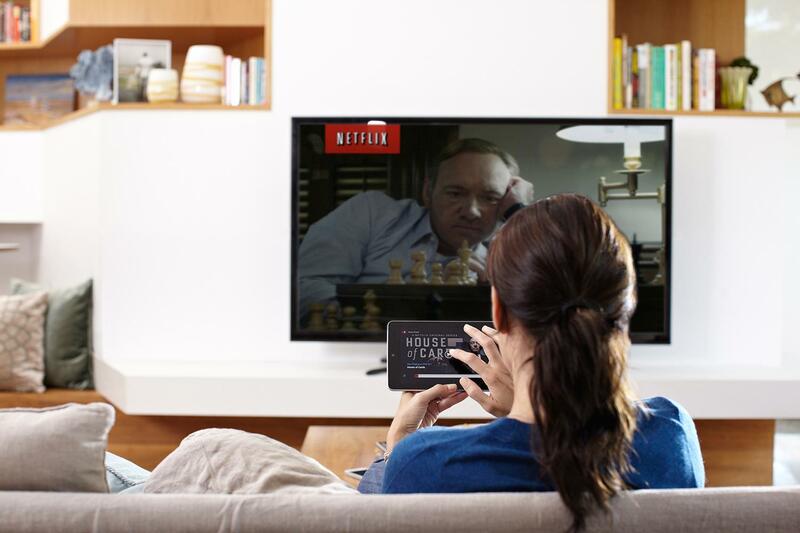 For instance, the average 1080p stream from Netflix over one hour uses about 5GB of data. While the new h.265 codec is expected to reduce data usage somewhat, streaming an entire 13-episode season of House of Cards at 4K resolution could easily use upwards of 200GB of data. Add in more 4K streaming during the month and that 500GB data cap will be hit quickly. However, Comcast is considering other data tiers for customers at this time, upwards of 600GB. Assuming the subscriber wants to pay for a faster plan, the data cap could rise as well. Interestingly, Time Warner Cable started testing a data cap program that provides a $5 discount to customers each month that stay below a 30GB data cap each month. However, that plan was met with very little excitement from Time Warner users.